The Valerian Ice Dragon is brand new this festive season! The perfect addition to any Winter Wonderland, Christmas Event or Game of Thrones themed party. Fancy something unique Christmas entertainment that's NEVER been seen before? Look no further.. He goes perfectly with our Frosted Fairies, Frosted Fauns and Frosted Tree and even our Frosted Elves. 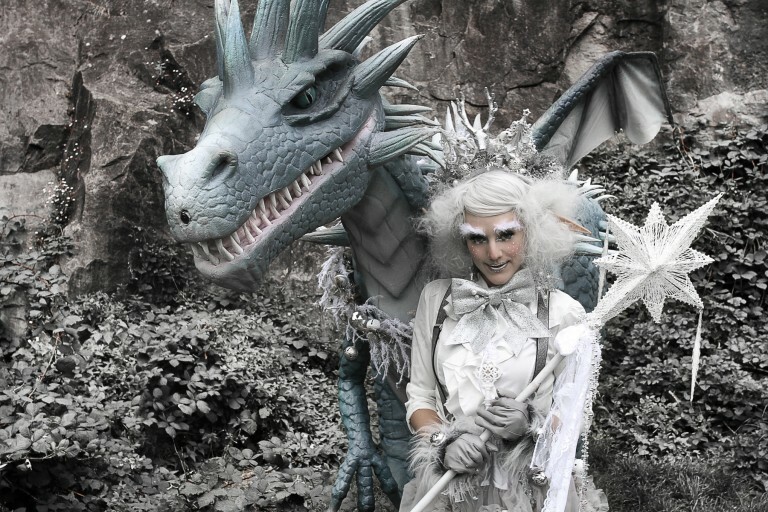 We now have a whole troupe of majestic frosted creatures available to add a touch of magic to your event. Creating your own Game of Thrones themed event? Already have a Khaleesi and a John Snow? The Ice Dragon looks astonishing accompanied by a genuine white walker! Wow your guests with the exquisite creature from beyond the walls of Winterfell. Alternatively book the Ice Dragon with our Arctic Explorer! 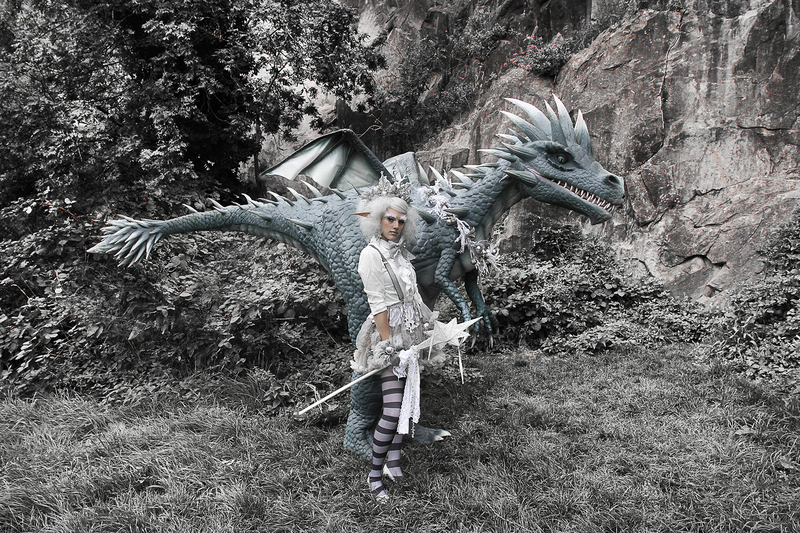 The Valerian Ice Dragon is an animatronic costume with a performer inside operating. He blinks, roars, mouth opens and closes and he moves well through any event, captivating all. Fancy the ultimate dragon battle? Book our Summer Dragon too! Watch Khaleesi's dragon battle the dragon of the Night's King. An excellent choice for Christmas parades, shopping malls, Christmas work parties, corporate festive events and more. For more information get in touch and speak to our entertainment professionals. Book our beautiful Frosted Elves for your Christmas or Winter Wonderland event this year! Brand new and completely unique they're are guaranteed to amaze. They're cute, they're cheeky and they're full of tricks. There is nothing like these naughty little elves on the market, especially when you book them with their wintery beast. Get in touch to book your Festive Wintery Troupe today!